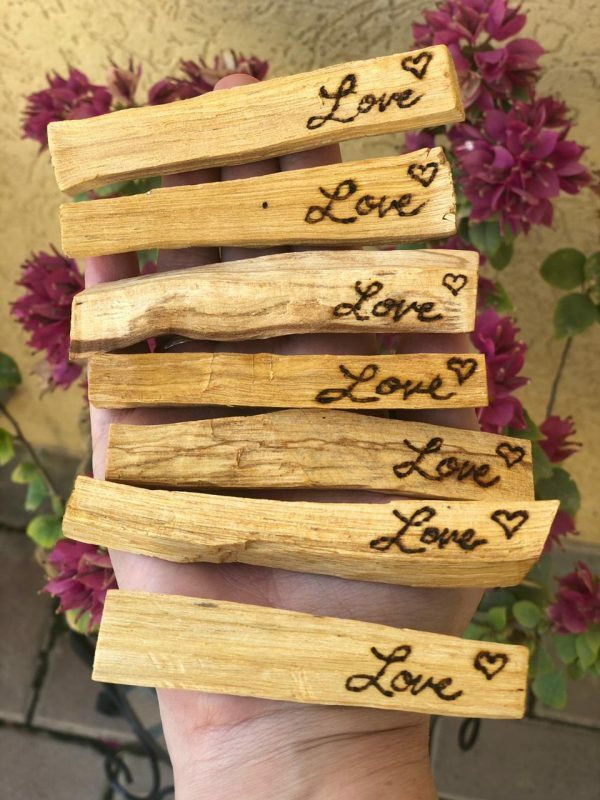 Palo Santo is enjoyed by many for its energetically cleansing and healing properties similar to Sage and Cedar. 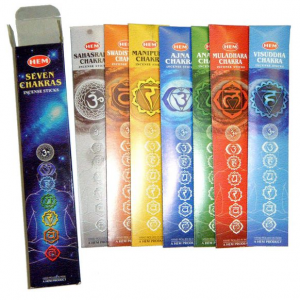 It is a strong medicine that has been popularized for its heavenly presence in keeping energies grounded and clear. 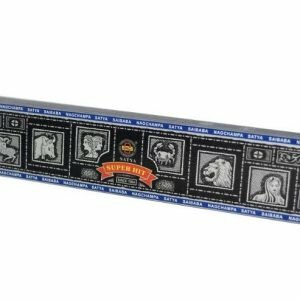 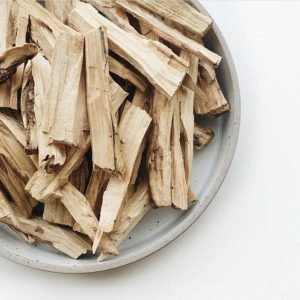 It creates a pleasant, fresh smoke that works well in keeping away mosquitoes and other flying insects which is one of the prime uses for the people who live in Ecuador and Peru. 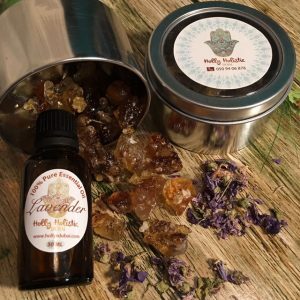 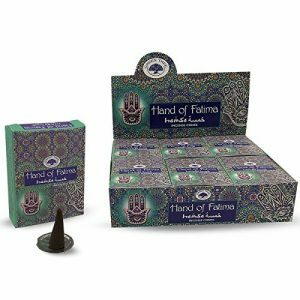 It provides an uplifting scent that raises your vibration in preparation for meditation and allows for a deeper connection to the Source of all creation. 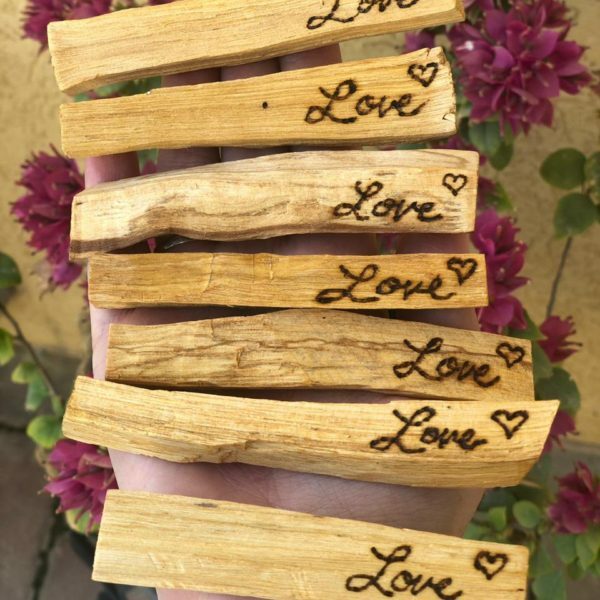 It is also said that Palo Santo enhances creativity and brings good fortune to those who are open to its magic. 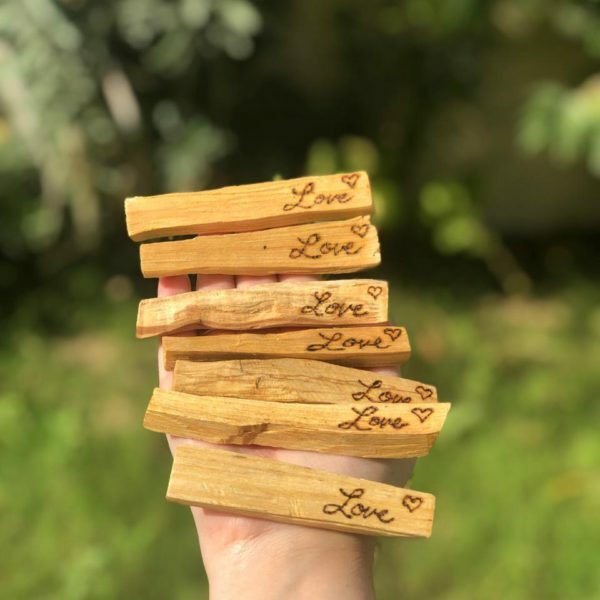 Palo Santo is traditionally used for relieving common colds, flu symptoms, stress, asthma, headaches, anxiety, depression, inflammation, emotional pain and more. 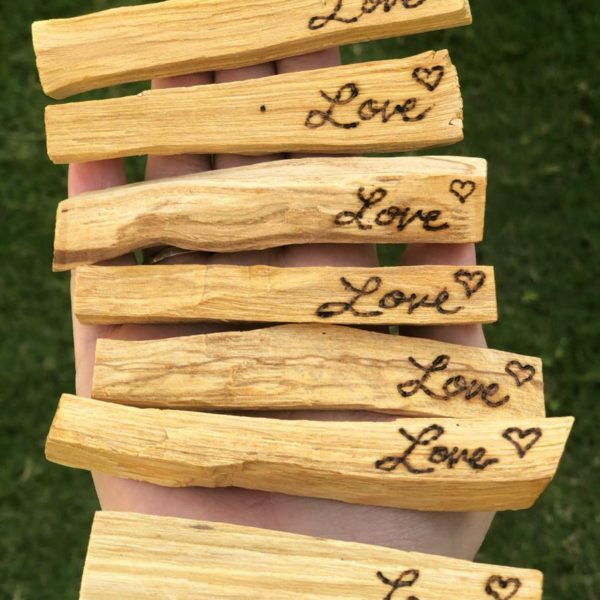 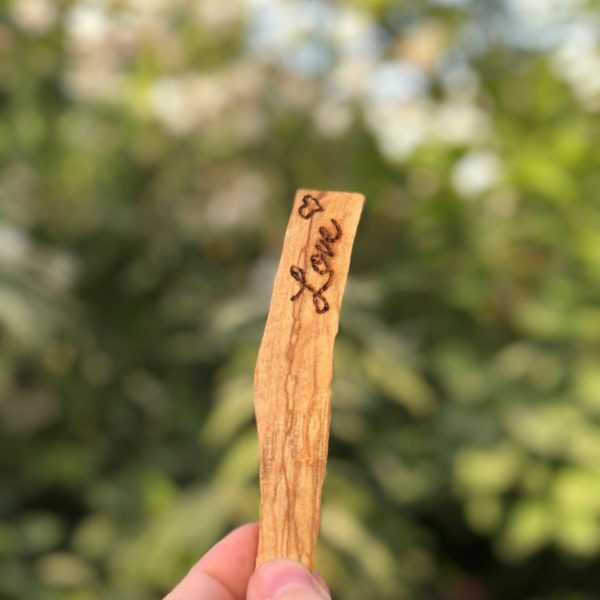 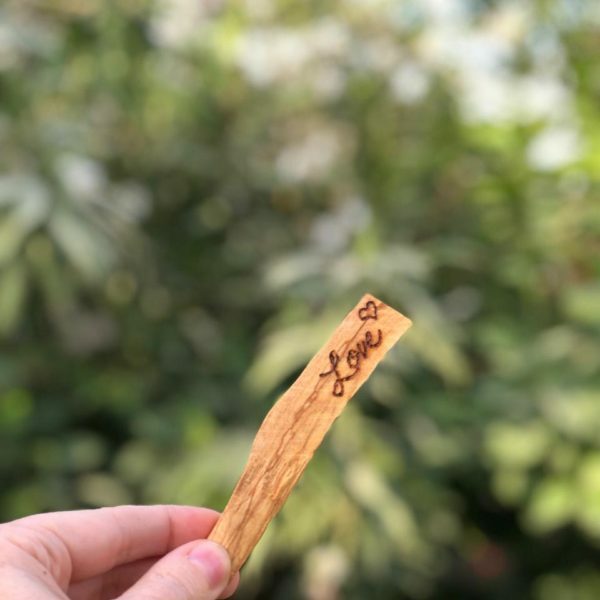 We have etched LOVE into each stick by hand at the Holly Holistic Workshop! 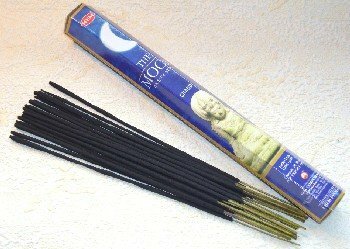 Listing is for 1 stick & directions for burning are included.